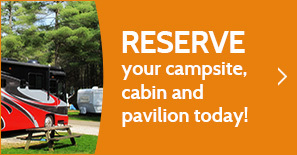 Mohican Adventures Canoe, Camp, Cabins & Fun Center offers the best in family entertainment. Our Mohican Country setting fills your vacation with as much adventure or relaxation as you wish. Take a Mohican River adventure or relax your day away in the hot tub of a Super Log cabin surrounded by Mohican Beauty. There’s fun and excitement waiting for you at Mohican Adventures Canoe, Camp, Cabins & Fun Center. Rides on the Carrousel are so much fun lasting more than four minutes. The outside animals & sleighs are stationary while the two inside rows move up & down! Open Monday through Sunday 11am - 5pm from Labor Day to Memorial Day. The Mansfield Art Center is the perfect place to see, make, and buy fine art in north central Ohio. The exhibitions and gallery shop are free and open to the general public Tuesday through Sunday 11am - 5pm. The Little Buckeye Children’s Museum celebrates self-directed play through creative, open-ended learning environments that engage kids and adults, spark imagination, and promote discovery. Open Wednesday through Saturday 10am-6pm and Sundays 1pm - 6pm. Kingwood Center develops and displays exemplary gardens on the former estate of Charles Kelley King for the pleasure and education of its constituents. Auxiliary activities and programs are offered to support and to accentuate the enjoyment and understanding of the gardens and horticulture. Open April 1st through October 31st with the grounds open 9am - 7pm daily and the greenhouse open 9am - 6pm. Malabar Farm offers a variety of activities, including tours of the big house, hiking, hayrides, and a program of special events in the rich, green surroundings so beloved by Bromfield. Amenities include a youth hostel, primitive campground, horse camp, an onsite, award winning restaurant, and picnic grounds. The Holy Bible comes to life with tours through the wax museum known as BibleWalk. The tours are Miracles of the Old Testament and Life of Christ, two 60 minute tours that feature life-size dioramas of beloved Biblical stories. Museum of Christian Martyrs and Heart of the Reformation, two additional 30 minute tours, provide an insight into the hearts of men and women as they willingly gave their lives for the Word of God. Today the Ohio State Reformatory Historic Site receives visitors from all over the world. Every year tourists, movie buffs, thrill seekers and paranormal investigators walk through the halls of this majestic structure. Mansfield, Ohio's meticulously restored and preserved Gothic Revival style home. Open Sundays April through December 2pm - 5pm. The long and storied history of the Renaissance Theatre is one that we build on each year. With our Broadway and Family Series’ we bring the greatest entertainment in the country to Mansfield. Special events, the Renaissance Summer Musical and movies provide an opportunity for the community to participate and experience the theatre in a grand way! Carousel Works is the largest manufacturer of wooden carousels in the world. We specialize in making carousel magic by pioneering the production of over 45 new innovative wooden carousels located in cities across the country. We take pride in providing our customers with the utmost quality of craftsmanship; the unique aesthetics of it's experienced artisans; and the dream-like quality of the wooden and brass carousel. The Richland B & O Trail traverses 18.5 miles of former rail corridor from Butler to Mansfield, Ohio in Richland County. The Ohio Sanctuary is a 501(3) non-profit organization which is dedicated to the rehabilitation of Ohio's native birds of prey and songbirds, with an emphasis on educating the community about conservation of our natural resources. The Bird Sanctuary is open to the public and encompasses over 90 acres including; hiking trails, live bird of prey displays, and a walk-through songbird aviary. Visitors can purchase a small cup of meal worms in the Visitor Center and hand feed the aviary residents. Time to get away to Mansfield, Ohio! This site is full of travel ideas to stretch your travel budget. Check out the calendar for upcoming events and things you can do. Time to start Exploring!